On 12/12/12 I updated my thoughts on Google+ and now offer 10 reasons why iLove Google+. Google Plus is dead. I actually wonder if it was ever alive. After my initial post regarding Google Plus, 10 Reasons Why I Hate Google Plus, I thought it was only fair that I conduct a little experiment – I would add Google Plus to my daily social media routine and make a concerted effort to engage with Google Plus the way I have with Facebook and Twitter. My experiment has now lasted a few months and my conclusion is that Google Plus is dead. Truth be told, my initial dislike of Google Plus stemmed more from people’s reaction to it and not from the tool itself. I love many, if not all, of Google’s tools and I, too, was consumed in the hype surrounding the launch of Google Plus. One of my early criticisms was the limited audience on Google Plus – the first adopters tended to be “social media professionals,” people I knew through social media but had never actually met. While I slowly began to see people that I actually knew offline begin to show up on Google Plus, I found that their engagement and participation occurred in the beginning but slowly trailed off to nothing. I actually wonder now if any of them still log into Google Plus. As a result of the above, I have found the connection and interaction lacking when compared to my other social media channels. I do understand that Google Plus is still in it’s infancy but recent trends tell me the interactions I have on Google Plus are diminishing and not increasing. One of the reasons that I love social media is the ability it gives me to find and share great content about any topic I wish. I have yet to feel that way about Google Plus. This could be for any number of reasons: limited audience, lack of business profiles, or limited topics based upon limited audience. I’m less worried about the cause of the problem but notice that this is a problem for me. Quite simply – I find less great content to consume and share from Google Plus as compared to Facebook, Twitter, and YouTube. Too many companies duke it out on the same curve. If they were daisy wheel printer companies, they think innovation means adding Helvetica in 24 points. Instead, they should invent laser printing. True innovation happens when a company jumps to the next curve–or better still, invents the next curve, so set your goals high. After purposefully using Google Plus for over a few months now I can say that the feature set is not “curve-jumping” when compared to other social media channels. I expected more from Google’s latest social media channel and am left wanting more. Overall, I’m disappointed that Google didn’t invent the next social media curve. 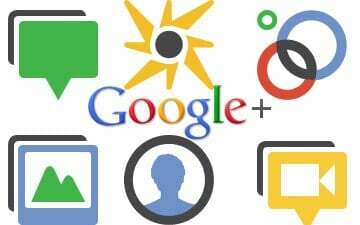 Although Google Plus may actually not be dead – I’m afraid that it’s formal demise is not far away and that it’s fate will mirror it’s big brother, Google Wave. What do you think? Let me know by posting your thoughts in the comments section below. I would love to get your feedback! I am afraid you may be right and I share nearly the same viewpoint as you do. The ‘plus’ feature is a convenient bookmarking tool when it is installed as a browser bookmarklet but then again there is Diigo and even Delicious for that. Time will tell…. @DaveTingle Thank you so much for your list and for taking the time to comment. I couldn’t agree with you more about the reasons to stay but I’m afraid Google+ will stay relevant because of it’s relationship with Google. Google had fantastic signup rates, which was because the public had very good reasons to join. However, Google have never released their engagement rates or the number of ‘ACTIVE users’…this might be because the public didn’t have any reasons to stay. Its a shame, I was quite keen for a gamechanger…but G+ has never excited me. @morto00x Thanks for taking the time to comment and you make a number of great points – especially the point about it not being about the best product but which one wins the market! While I agree that Google+ has better features (after all Google has the resources to do so), I find it hard to see most social media users switching to something they already have. Best example would be email accounts. Lots of people still use Hotmail, Yahoo, AOL, etc. even though many people believe Gmail is better (I still use Hotmail). Also, keep in mind that it is not always about who has the best product, but which one wins the market. While social media has been around for a while, thousands of people suddenly joined social networks (Facebook, Twitter, etc.) during the presidential elections of 2008 due to the hype that the press created. I simple find it hard that people will start joining Google+ as massively as they did with Facebook years ago, no matter how good it is, and as long as the most people are in Facebook, the market will remain there. @evolution.deano Thanks for taking the time to comment and I truly respect your opinion. I’m excited to see where Google+ ends up and although I’m not high on G+ now I am keeping an open mind. And what you don’t get is that is exactly what’s changing about Google. Google+ IS Google, and you’re going to see that as more and more of Google’s separate services start coming under G+’s umbrella. Google Reader, which I love too, is actually first up on the list. It always amuses me when people point to Yegge’s post as a reason to not like the service, because that shows that they didn’t understand what he was talking about. G+ isn’t going anywhere. By the end of this year, I think people will start to understand how serious Google is about this platform, and how they’ve adjusted their thinking accordingly. @emkey1tweets Thank you so much for taking the time to comment and sharing your thoughts. I’m glad to hear that you’ve found value in Google Plus. I’m going to keep plugging away and see where G+ ends up! @delainanicole Thanks for taking the time to comment. It will really be interesting to see where Google Plus ends up! I have to disagree completely. I can’t keep up with the volume I’m seeing in my circles and the quality and engagement have been very high in my experience. A lot of people make the mistake of trying to treat Google+ like Twitter or Facebook when it is in fact unique. I get the vast majority of my news via curated Google+ links. Along with that news I get opinions and commentary that range from decent to excellent in quality. As an added bonus I can jump in and be a part of the conversation surrounding a particular topic if I want to. It takes a bit of effort to build good circles but it’s totally worth it. Don’t get me wrong, I love my Android phone and refuse to get an iPhone because of how closed it is. I love my gmail. I REALLY love my Google Reader. But these, for the most part, are disparate products, developed by totally separate engineering teams at Google. And when you don’t have an integrated company focus (Apple, Facebook), you’re going to develop a lot of bad dogfood.